I love when random weird looking cars get modded and stanced out. 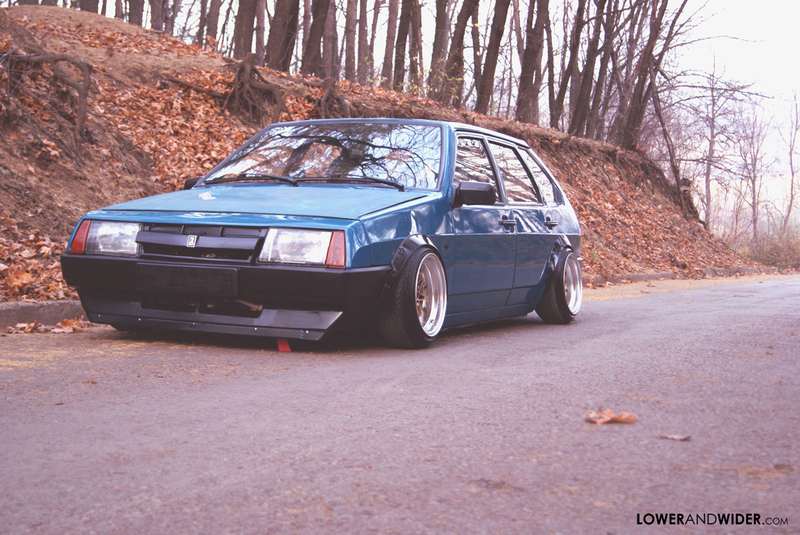 This Lada was found on Stanceworks and thought it was so cool. A boxy little hatch slammed on a set of Works. Doesn’t look very drivable thought lol. Reminds me of Tron for some reason. I hate riding in large groups, firstly. But this is so damn gangster. Dude is not only doing a switchback, but he’s recording and posting on facebook. The soundtrack matches perfectly. These guys roll DEEP!! And here is a view from is helmet mounted Go-pro. 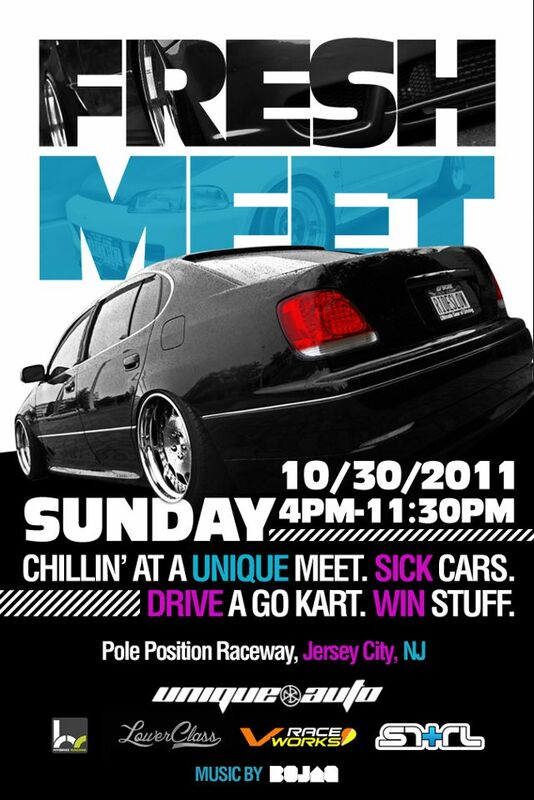 So a Fresh Meet is scheduled for tomorrow, sunday 10/30 at 4pm. Although with this ridiculous snow it’s looking less and less likely. Lets all hope for the best because this meet is supposed to be REALLY big. We are giving out lots of prizes, have live music, RC drifting, TONS of show cars, and discounts on go-cart racing. The event is free which is a huge plus and we are holding these events simply to give back to the community. We are all car enthusiasts. That’s all that should matter. So come out tomorrow for a great time! Pole Position Jersey City. Be there! For the past couple months Luke Huxham have been blessing us with unprecedented coverage of RWB cars and Idler Games. Luke really knows how to create a great video. This is probably the first documentary I didn’t want to end. As I said before, it’s great to see these RWB cars are driven hard and still look REALLY good. It’s a passion we can all relate to. To you Luke, keep up the great work. Like I said in a previous post, Rotiform does it again. I’ve been waiting for someone to bag a A5 in the states for the longest. And of course it looks amazing of a beautiful set of Rotiform’s. I wish I had color info, because it’s sick! I’m pretty sure this has a matte white wrap and will be seeing more of it during Sema. Well I am trying to do something a little different here. My team has a couple projects and I am going to be sharing more of what we are doing, whether it’s automotive related or not. After Gabe bought a fixed gear bike, I wanted to build one to ride with him. So I gave him an old frame to strip down and paint. 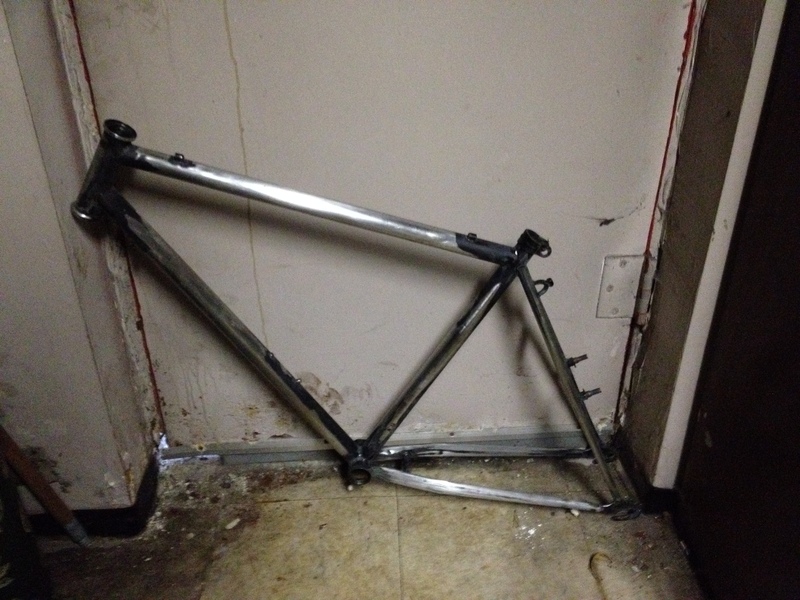 Wish I had a start picture, but here it is stripped and ready for paint. Going for something a little quirky for color, hopefully it comes out good. We all know the A8L isn’t a limo, but damn it’s freakin long. In other news, Rotiform does it again. They never cease to amaze. A8L on bags and a dope set of BWE’s . I guess we have to wait until the Sema show for it’s “official” unavailing. Until then here is one of the better pics. Added to my list of “must-build”. I really wish Rotiform would update their site with ALL the wheels they offer.